Car accidents are a common occurrence in Cottonwood Heights. If you’re a victim of one, a car crash lawyer can help you recover the compensation you need. In an instant, a serious car accident can alter your life for the worse. In the aftermath of an automobile wreck, you could be left with severe physical scars, debilitating emotional trauma, and crippling medical expenses. Unfortunately, the majority of car accidents are caused by someone else’s negligence. However, if you were involved in an accident with a negligent motorist, you have the ability to file an injury claim against the driver to seek compensation for your losses. However, recovering damages in this manner is no easy feat. You may require the services of a professional to win your case. Consider enlisting the support of a trained Cottonwood Heights car accident lawyer from Craig Swapp & Associates. What Causes Car Accidents in Cottonwood Heights? One or more of a multitude of reasons might have led to your car accident in Cottonwood Heights. Negligence is likely the most common cause of auto accidents here; however, other influencing factors may also have been present. Distracted Driving – Texting, cell phone use, eating, or other distractions are a leading cause of crashes. Driver Mistakes – Unsafe driving behaviors, such as tailgating, failing to yield, or running stop signs or red lights, cause auto crashes every day. Drunk or Drugged Driving – Driving while under the influence of drugs or alcohol is an extremely negligent behavior that injures countless victims. Fatigue – Lack of rest can impair a driver’s ability to operate his or her vehicle. Speeding – Failing to obey speed limits can be very dangerous. Reckless Driving – Deliberate aggressive driving poses a risk of accidents. Furthermore, unsafe roads might have led to your accident. Potholes, uneven road surfaces, blocked roads, warning signs, and debris can result in car wrecks. If your accident was caused by any of these factors, you may be able to file a claim against the town or local government agency that was responsible for the upkeep of the roads. Be advised that insurance companies are not primarily concerned with your health and wellbeing. Because they need to make money, they will attempt to coerce you into accepting an undervalued settlement in order to keep their costs down. Do not accept any sums from insurers until after you have had a discussion with your attorney. A lawyer from our firm will help ensure that you receive a fair settlement. 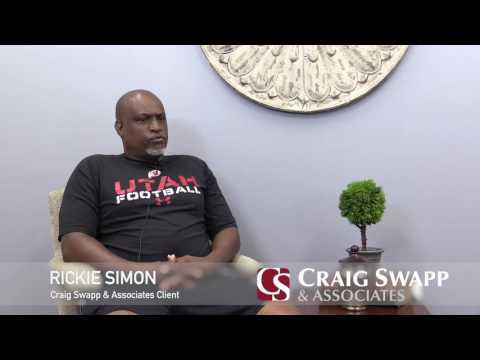 The attorneys at Craig Swapp & Associates understand how difficult it can be to get by in the aftermath of a car accident. That’s why we’re here to help victims like you. To schedule a free, no-obligation consultation with a Cottonwood Heights car accident lawyer from our firm, call 1-800-404-9000 or complete our online contact form below.